What appeared to be the last known photograph of a missing Argentine submarine was released online this week. The photo, which was tweeted by the Falkland Islands Twitter account, appeared to show the ARA San Juan leaving port Nov. 13. The picture was taken by the Aerolineas Argentinas 737 flight near Ushuaia, according to the Daily Mail. Two days after the photograph was taken, the ARA San Juan made contact with land for the last time. The submarine and its 44 crew members have been missing since Nov. 15. Numerous nations joined forces to search for the missing vessel, which was believed to have only seven to 10 days left of oxygen when it disappeared. In early December, authorities announced they were suspending the rescue mission as they did not believe anyone was left alive on board. The search, however, continued on. It remained unclear what happened to the submarine, though details have emerged in the days since it vanished. The commander of the ARA San Juan made contact with a land commander Nov. 15 to say it experienced a battery short circuit after water entered the ship. The submarine was told to continue onward using alternate batteries. The submarine again made contact to say it was moving forward with no apparent problems. A few hours later, however, an organization designed to detect nuclear blasts said it detected a sound consistent with an explosion in an area near the submarine’s last known location. Authorities said they were investigating an explosion but had not confirmed whether one took place. Defense Minister Oscar Aguad said at a press conference Monday, however, that he believed the crew members perished in the explosion. “You mean they’re all dead?” an interview asked him. 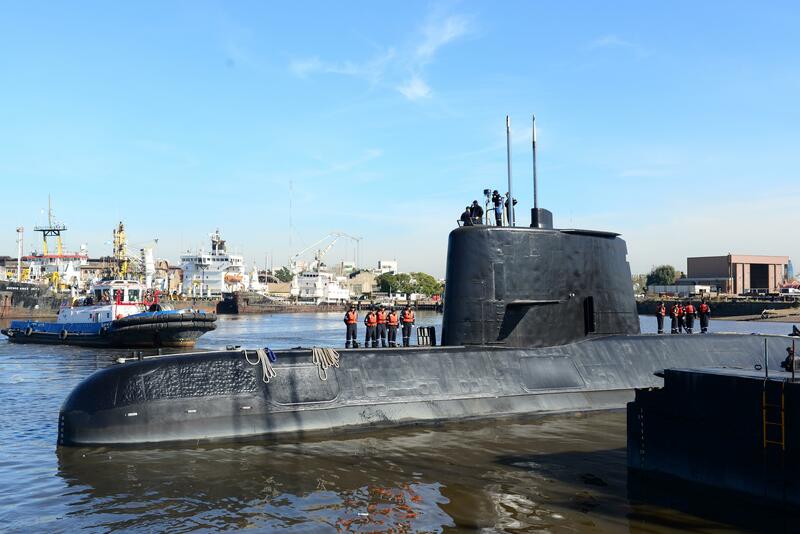 Argentinian President Mauricio Macri vowed Wednesday to continue the search for the submarine. Unmanned Russian vessels were deployed to investigate objects detected on the seafloor within the search area. Families of those on board decried the end of the search, protesting the decision during a march Dec. 3. Relatives held signs as they marched through the port of Mar del Plata, where the submarine was headed when it vanished. Macri promised to launch a full investigation into what occurred on board the vessel.